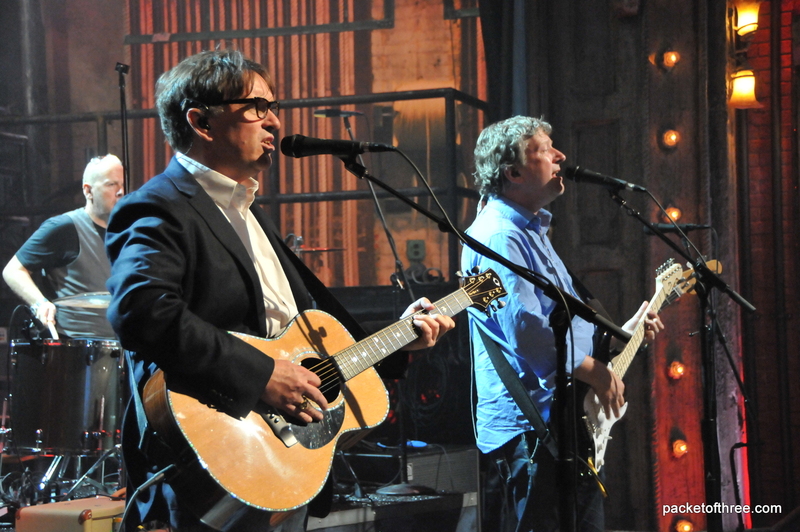 Squeeze appeared on Late Night with Jimmy Fallon recorded at the NBC Studios in New York as a last minute replacement for an artist whose plane didn’t take off. Their loss was our gain. 2 Responses to "Squeeze – 14 July 2010 – live on Late Night with Jimmy Fallon"
Fantastic performance to just turn up and play like that with just one quick run-through rehearsal. The crowd were whipped up into a mad hysteria by the producers and the band sounded incredibly tight. The show was pre-recorded Tuesday afternoon for broadcast in the early hours of Wednesday morning. Wow. That was fantastic and very inspired. Glenn in fine voice, Chris smiling and Stephen’s iPad solo. Priceless. I know why this band remains one of my true favorites.